We all know WhatsApp, the cross-platform instant messaging service, is one of the most popular social platforms on earth, one of the Silicon Valley unicorns that have changed the way we live and communicate. One of its most popular features is WhatsApp location sharing; used to send your current location or the location of a specific place to another user. 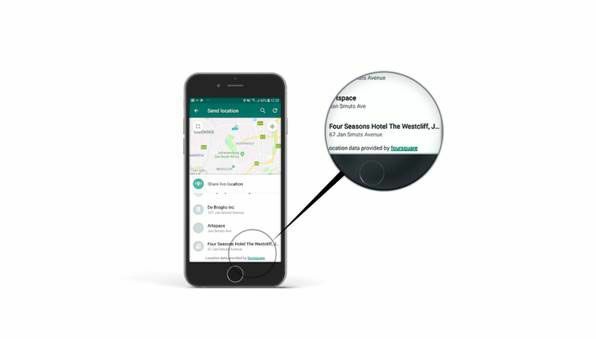 WhatsApp users are able to share the details and pin placement of a real-world location by looking through ‘nearby places’ or simply searching for where they'd like to go, making it easy for their friends to navigate to the chosen location. 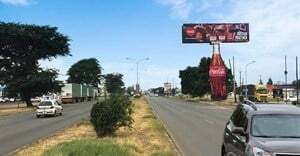 With over 1.5 billion daily active users and an exchange of 65 billion messages per day, it's critical that your brand's real-world footprint be listed accurately on this high-profile end-point, as people are increasingly using these to decide on social or business meeting locations. Most of the biggest mapping platforms and end-points are powered by other data sources and understanding where to submit your data can be a confusing exercise. WhatsApp is powered by both Facebook and Foursquare, depending on the device being used. Foursquare only accepts data in high volumes via API and that is just one example of how your data can reaches multiple channels from one source. Having a central place to disseminate your data, a starting point on its journey to multiple end-points, is key to any brand with an offline footprint. P.S. Location Bank software platform ensures 100% accuracy of your location data via API across channels like Foursquare and 99% of the world's other digital mapping platforms and directories. This is all achieved through one centralised dashboard. Think of Location Bank as your single point of truth - allowing you to clean, secure and then push your data out across the web. Location Bank end-points also include: Google Maps/My Business, Here, TomTom, Apple, Facebook, Maps, Waze and Uber. Get in touch with BPS today and ensure your digital location footprint is 100% accurate on Whatsapp location sharing... and everywhere else.